I admit it. I am pea green with envy. 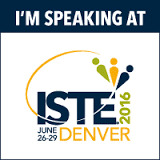 ISTE envy is tough to bear but as I read through the multiple Twitter posts, blogs, Edmodo group work, Google+ postings and various backchannel conversations, I really do feel like I'm getting the best compilation of the sessions possible. What I cannot do is listen in and partake in all the face-to-face conversations brewing. The excitement is palpable. I cheered for the @edubros when Robinson gave them a shout out. The #iste12 feed was feverish (and trending). Imagine if just a small portion of this excitement is what our students felt all day at school? I was amused by the complaints that poured into the Twitter feed when it became obvious that Sir Ken Robinson's presentation was only a small portion of the keynote as a multitude of speakers came out to push their message--sometimes thought provoking and sometimes a straight out commercial--and I thought to myself that this is probably what many of our students feel like during the day. The want the good stuff, they want to be challenged, to be excited about possibilities, to feel a connection, to feel an a-ha, in short, they want to learn. 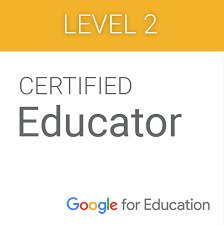 How can we capture that excitement, create that buzz, push the stream of learning? I think Sir Ken hit it on the head when he spoke about the huge error we created with NCLB and that education has become a morass of mass standardization. What we really need he said is to personalize learning. 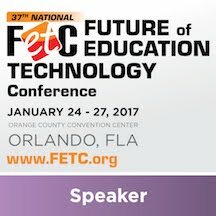 "The problem is the whole process of education is being based on an impersonal approach and a suffocating culture of standardization." How do we personalize learning? We get to know our students. Robinson described great teaching as an art form, an intuitive approach based on the happy marriage of a teacher knowing the material, and knowing the students, and understanding the necessary chemistry that must occur for learning to take place. I agree. Great teachers are great artists. They hear a rhythm in their heads, they know when to step in and when to stand back, how to paint a picture with words, diagrams, and other tools so that students can see, they know how to encourage risk and foster resiliency, they know how to instill pride, and they know how to bring out the best in their students because they are learners too. 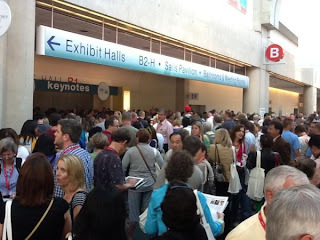 ISTE attendees were ready to break down the doors to get into the keynote because they could not wait to learn from Sir Ken Robinson. They knew that this keynote would provide inspiration and the anticipation was high. Just the tweets in the hour before the keynote ran to over 26 pages! Can you imagine having that level of anticipation among your students? We need to have our students that eager to get into our classrooms . . . to want to share what they learned with their friends and family, to count the minutes until the next class not out of dread, but out of sheer anticipation for the fun and challenge that awaits them. Let's not suffocate them. Let's get engaged ourselves so that we may engage our students.